White wooden box with removable photo album and space for a single 10x15 cm photograph in the lid. Supplied with rings and small engraving shield. Rose with a length of 33.5 cm. 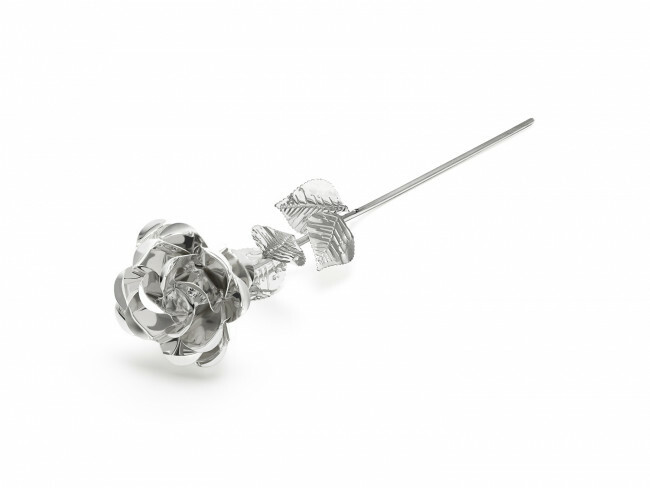 The rose is silver-plated and lacquered, meaning polishing is not required. Presented in a transparent packaging and white sleeve.